TIFFIN, Ohio — The Rev. Ron D. Fruth, 77, of Tiffin, passed away on Monday afternoon, April 8, 2019, at Seneca House. He was born on Dec. 1, 1941, in Napoleon, Ohio, to Dallas and Leota (Lemon) Fruth. On July 30, 1966, in Stratford, Wisconsin, he married Verna Jean Schmidt. Survivors include his wife, Verna Jean of Tiffin; two children, James W. (Tiffany) Fruth of Tiffin and Daniel J. (Meg) Fruth of Lancaster; four grandchildren, Elise Fruth, Jacob Fruth, Nora Fruth and Carter Myers; brother, John W. (Carol) Fruth of Beloit, Wisconsin; and one grandson on the way. He was preceded in death by his parents, and daughter, Jill Lynn Fruth. Rev. Fruth graduated from Florida High School, in Napoleon, Ohio, in 1959; Lakeland University, Sheboygan, Wisconsin, in 1963; and United Theological Seminary, New Brighton, Minnesota, in 1966, where he earned his Masters in Divinity degree. Rev. 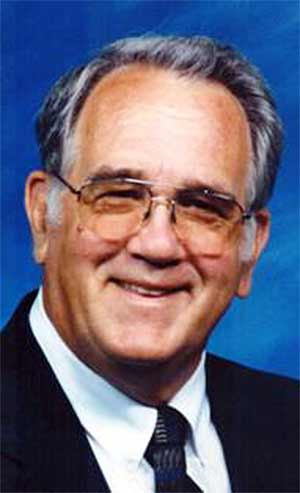 Fruth was ordained into Christian Ministry in 1966 by the United Church of Christ. He served congregations in Wellington, Ohio (Pittsfield United Church of Christ), St. Paul’s United Church of Christ, Van Wert, Ohio, St. Peter’s United Church of Christ, Van Wert, Ohio, and First United Church of Christ, Lima, Ohio. His funeral service will be at 4 p.m. on Saturday, April 13, 2019, at Hoffmann-Gottfried-Mack Funeral Home & Crematory, 236 S. Washington St., Tiffin, Ohio 44883, with the Rev. Steve Garstad officiating. A private burial will take place at a later date. Friends may visit with the family from 2 - 4 p.m. on Saturday, April 13, 2019, at the funeral home. Memorial contributions may be made to Bridge Hospice, Seneca House Activity Fund, or to Heidelberg University. Verna Jean, my deepest sympathy dear friend! This comment has been hidden due to low approval.